MatsClock 1000 is one of my first flash clock designs. This wall clock changes colors continuously inside its dial. The dial is designed to look spherical. So the clock dial looks like a lighted up sphere that is changing color with time. There are no clocks before MatsClock 1000. The reason is simple. I wanted to keep a system of numbering for MatsClocks. If I start from 1 then it is one digit then 2 digits and then 3 digits. It gives a better look if I give the MatsClocks with 4 digts from the beginning. And I think it will take me many years before I cook up ideas to make each clock look different in this series with four digits to reach the figure of MatsClock-9999. That will be my 9001 th flash clock if I ever manage to design nine thousand flash clocks, all looking slightly different from the other. But I intend to do it. The only problem is keeping up with the time schedule. 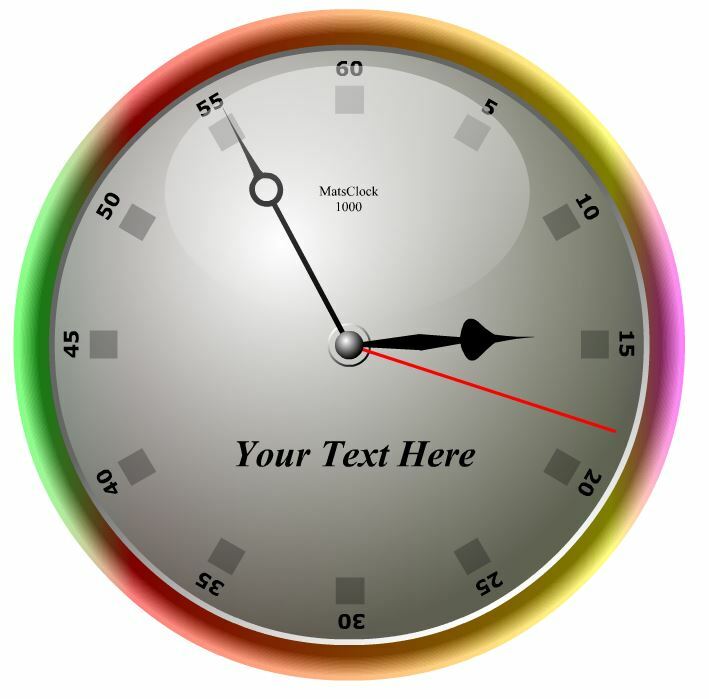 I shall be greatful to anyone who helps me by sending me some unique clock designs in a picture format. You will certainly see it implemented in a Flash Clock format.